What is the Master of Business Informatics? Business Informatics is a discipline combining informatics and management innovation and concepts incorporating Service Computing and Security. It is a cross-disciplinary field that covers science and technology, and represents a promising direction for distributed computing and cloud computing methodologies. It aims to bridge the gap between business services and IT services by supporting the whole lifecycle of services innovation. Over the last ten years, service computing applications in business have produced considerable success. In the service and cloud computing space in particular, but also in other IT spaces, security is paramount. 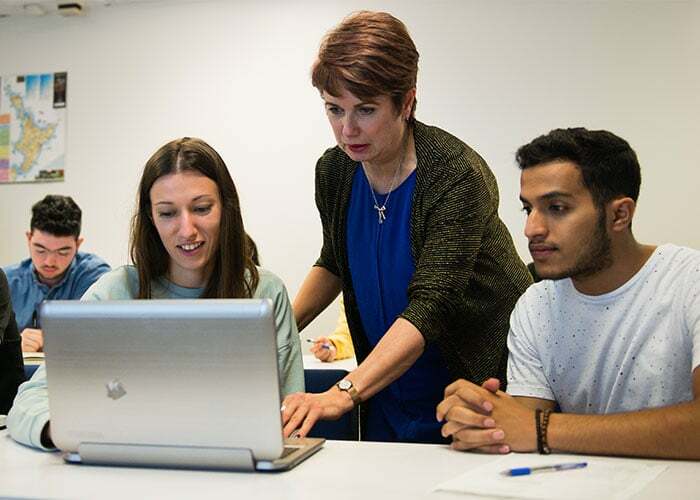 The aims of the Master of Business Informatics (MBI) are to take an interdisciplinary approach in informatics and business innovation within a single qualification, including the core disciplines of enterprise innovation, IT service management, information security management, digital transformation, project management and business professionalism, and to develop research skills through an applied project. This programme brings together business and IT services in both a New Zealand and global context. The MBI is a level 9 qualification of 180 credits. It includes nine 15-credit informatics, business and research papers at level 8, and a 45-credit level 9 applied project. The fourth trimester consists of a 45-credit Applied Project. Students must have a Bachelor degree or Graduate Diploma in a business-related or IT/computing subject. International students must also meet the English Language requirements – academic IELTS with a minimum score of 6.5 overall, with no band score below 6.0, or any equivalent recognized by NZQA. Apply such skills learned during the study programme to new situations. Interpret and respond to digital transformation. MBI graduates are ideally positioned to take up management roles in continually-changing environment (as identified by ANZSCO as level 1 skilled employment roles). They will be able to advance their careers in roles such as business analysts, IT managers, process and service managers, change managers, IT security specialists, information architects and IT entrepreneurs.